While our government in Washington is struggling to deny climate change, we can take action locally. Our electric coop, La Plata Electric Association (LPEA), offers easy ways to do this by purchasing renewable power. Isn’t all electricity the same? Yes, it is, if it comes through wires attached to the electrical grid. Let’s look at reasons you might want to use electricity generated in a renewable way. Do you have asthma like I do? Millions of other people in our country suffer from this and other respiratory afflictions. Breathing is made more difficult by the fine particles that escape from coal fired power plants and by smog that comes from the ozone generated by natural gas development. Those tiny particles are invisible but cause atmospheric haze. Worse is that they are also responsible for loss of life due to cancer and heart attacks. We are already suffering the effects of climate change. Despite the welcome snow this month, southwest Colorado is still at the worst level of drought. The huge 416 wild fire last summer was much too close to home. Climate change has prolonged the forest fire season and has helped to create many more mega-fires. We are seeing the effects of anthropocentric climate disruption already! One action that we can take to slow climate change is to use less electricity generated by burning fossil fuels. In addition to fouling the air, power plants are some of the biggest users of fresh water, which they use for cooling. Although some of the water is returned to streams or rivers, it is hotter, which can be fatal for fish and other animals. Some think that nuclear is the safest source since it is less polluting. Every source of electricity has its drawbacks, unfortunately. This is why I sometimes write about energy in columns that focus on human population. Almost everything that people do has detrimental effects to the natural world. We can decrease that impact by decreasing the number of people, by consuming less and by technology. Using renewable power is one way of minimizing our impact. 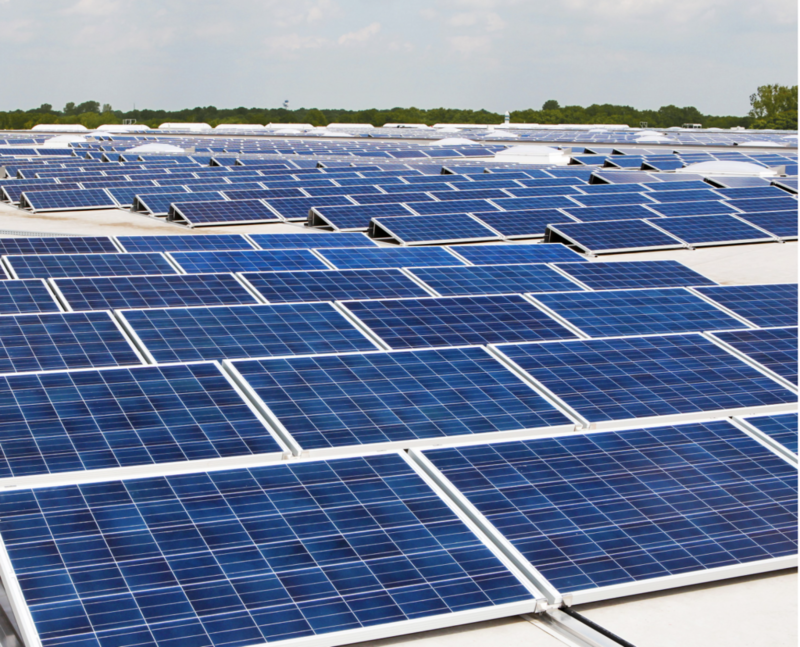 LPEA has 2 voluntary programs to promote renewable or “green” power generated by solar, wind or hydro. Our electrical cooperative can provide part or all of your electricity from these renewable sources. The extra cost is minimal, only about 50¢ a month for the average LPEA member. A call to their friendly office staff can give you more information. They also have a program to fund local solar arrays. This Renewable Generation Fund is currently helping to support 4 projects at nonprofits. Your first step should be to look for ways to use less energy. That saves money and diminishes one’s impact. Turn off lights you don’t need, and install dimmers if you don’t always need to run lights at full brightness. Our local 4CORE specializes in home energy efficiency. It offers ideas to decrease waste of electricity and rebates for Energy Star® appliances. LPEA has a great program to reimburse you for half of the cost of certain efficient LED bulbs. These use only a fraction of the “juice” of traditional incandescent bulbs and are more efficient, and safer than compact fluorescents. I’ve taken advantage of this program in the past, buying a few LEDs at a time, but I went hog-wild this year since it is the last year of the program. Soon almost all the light in our home will come from the sun or LED bulbs! LEDs are much improved and the price has come down dramatically. To find out more about this rebate program go to www.LPEA.coop—but be careful to follow the instructions carefully. We are tied to Tri-State Generation and Transmission for all of our electricity except what is generated locally. Despite the decreasing costs of solar panels, soon people won’t be able to install solar arrays because the contract with Tri-State, which limits the amount of power that can be generated locally. Because so much of their energy comes from burning coal, they are rumored to be the most polluting power supplier in the country. Tri-State has been slow to convert to renewable sources but it appears that they are finally seeing the light; they are installing a huge solar array north of Trinidad, Colorado. We can be proud of our electric coop for its support of renewable power, especially with its new policy to cut its carbon footprint by 50% by 2030, while keeping rates low. We need to keep pressure on Tri-State to increase their low limit on locally generated renewable power. 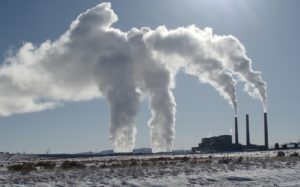 During a break at a renewable energy meeting sponsored by LPEA (our electrical co-op) several years ago, a friend and I discussed the pros and cons of generating power with coal. She said that she would favor renewable generation of our energy if it didn’t require subsidies. We both are plagued by asthma and carry expensive inhalers to use if we have trouble catching our breath. My friend admitted that our air would be better if we weren’t downwind from coal burning power plants. However, it bothered her that some of the taxes she paid went to support a photovoltaic manufacturer that had recently declared bankruptcy. She expressed surprise when I told her that fossil fuel companies also received tax support. Indeed, subsidies for fossil fuels are more than 5 times larger than subsidies for renewable energy! Worldwide subsidies cost an astounding $444 Billion. In the USA $24 Billion in taxes go to fossil fuel subsidies. That is more than $73 of our tax money for each American, every year! But subsidies are not the only cost we pay to support the fossil fuel industries, which include coal, oil and natural gas. Burning fossil fuels also costs us all because they are one of the largest causes of climate change—but even that is not the most immediate cost. The most serious cost of fossil fuels is to our health. It is estimated that 91,045 people die annually as a direct result of air pollution in the USA. In addition, air pollution increases the number of people who suffer from emphysema, heart attacks and strokes—and asthma. Figures from the World Health Organization state that 36% of lung disease deaths, 27% of deaths from heart disease and 34% deaths from strokes are caused by air pollution. That is a huge toll—much larger, but more insidious, than the death rate from terrorism. What does this have to do with population? My goal is for people to be healthy and to have healthy children. Ideally children should be planned, loved and well cared for. This means that we need to keep our planet healthy, too. Access to voluntary contraception is one of the best ways of assuring these goals. It is also important to minimize our impact on the planet, for our children’s sake. When people think that they are saving money by having inexpensive electricity, they don’t know the true cost of their power. What is on the bill from LPEA is only a small fraction of the real cost. It is estimated that health care necessitated by the air pollution from fossil fuel-generated power costs over 9 times what we pay the power company! The rate LPEA charges is 12.56¢ per kilowatt-hour. Therefore, the true rate is $1.14 per kilowatt-hour if you include the cost of health care necessitated by air pollution from conventional power sources. What does this mean to our country? If you look at the period from 2007 to 2015, during which there was rapid growth of solar and wind generation, almost 8000 lives were saved by not generating electricity with fossil fuel. About $70 billion in health care costs was saved by this renewable energy rather than business as usual. In addition to more immediate health costs, climate change is already causing damage through storms, forest fires and other destruction. It is difficult to put a value on money saved by averting greenhouse gas emissions, however the value of keeping 1 metric ton of CO2 out of the atmosphere is in the range of $35. The savings from slowing climate change in this 8-year period of increasing wind and solar is estimated to be $56 Billion! Only about 7% of our nation’s “juice” currently comes from wind and solar. Think what a difference it would make to our health if 20% or even 50% of all the electricity used in the country came from renewables. A first step is to get rid of subsidies to the unhealthy fossil fuel industries. I agree with what Davin Montoya, board president of LPEA, wrote last year: “In fact I think the entire board supports renewable energy; but it should be done in a responsible way. I will only support a program that benefits the entire membership not a select few.” My conclusion, knowing the hazards of air pollution from burning coal to generate electricity, is different from Montoya’s. Renewable energy benefits us all in helping us to be healthier and to spend less on medical care. We are fortunate to live in a beautiful part of the world, and also fortunate to have parts of the land preserved as national monuments. Several of these are under review, and it is concerning that the national parks and other protected areas may also be in political jeopardy. Protect them so our children can enjoy them. You have fished for the trophy trout in the Rio Grande in the Rio Grande del Norte National Monument. Or perhaps you’ve hiked Sand Canyon, a bit west of Cortez, and enjoyed the wonderful walking, spring flowers and ancestral Puebloan ruins. You can kiss these amazing places goodbye if some of today’s politicians have their way. Both the above public lands are controlled by the federal government, as is much of the land in the West. The feds don’t do a perfect job of stewardship, but at least a certain minimum standard of protection is enforced. National monuments restrict and control grazing and extractive industries. When he was campaigning, Donald Trump pledged to keep public lands under federal control. Unfortunately, ! he is reneging on those promises. Trump has asked Ryan Zinke, secretary of the Interior, to review 27 of the largest and most recently designated monuments. The idea would be to either abolish these monuments or to decrease their size. It appears that Trump’s motivation is to alter the special monument status for commercial reasons. Yet it is essential that humanity not lose our connection to our land and to our past. In addition, there are threats to turn control of monuments over to state authorities. At first glance, local control sounds as though it might be a good idea. There would be local or state governments controlling these beautiful parts of our wonderful country. Furthermore, the responsible people wouldn’t need to contact Washington every time they need to buy a new pencil sharpener. The downside of local control is that local people may! lose sight of the purpose of monuments; they might sell off rights during a time of economic difficulty. Furthermore, locals often don’t have the resources or expertise and would be unable to administer the monuments properly. Many states lack sufficient funds to run their state parks well, let alone take responsibility for national monuments! National monuments come in all sizes, from a single historical house to the mammoth Papahanaumokuakea Marine National Monument. They were all created by decree by presidents of both parties, on territory that already belonged to the federal government. No president has ever ordered a review before. Many of the 129 national monuments in the U.S. are of great aesthetic value. Their beauty attracts millions of visitors and is of great value to local economies. Exploration and drilling would spoil their bea! uty and trade short-run profit for long-run ruin. Establishing an! d protecting public lands (and oceans) became prudent as our population grew, and as we harvested increasing amounts of the bountiful resources. It is essential to have places for children to explore and for adults to reconnect to the land. In addition, some of the monuments memorialize cultural resources – for instance, Canyons of the Ancients protects more than 6,000 archaeological sites. There are many good organizations that are monitoring and fighting the attempt to jeopardize public lands. I favor the San Juan Citizens Alliance (sanjuancitizens.org) and Conservation Colorado (conservationco.org). Both have information on their websites and advocate for public lands protection. We are fortunate to live in a beautiful part of the world that also has copious resources. We should enjoy our surroundings and use the resources carefully but r! emember those who will come after us. I would like my granddaughters to be able to fish the Rio Grande, hike Sand Canyon and camp in Bullet Canyon without the sounds of pump jacks and chainsaws. Like you, I have explored parts of Cedar Mesa, which are now protected by Bears Ears National Monument – but perhaps we better hurry back while the monument is still undeveloped. Or work harder now to preserve it.